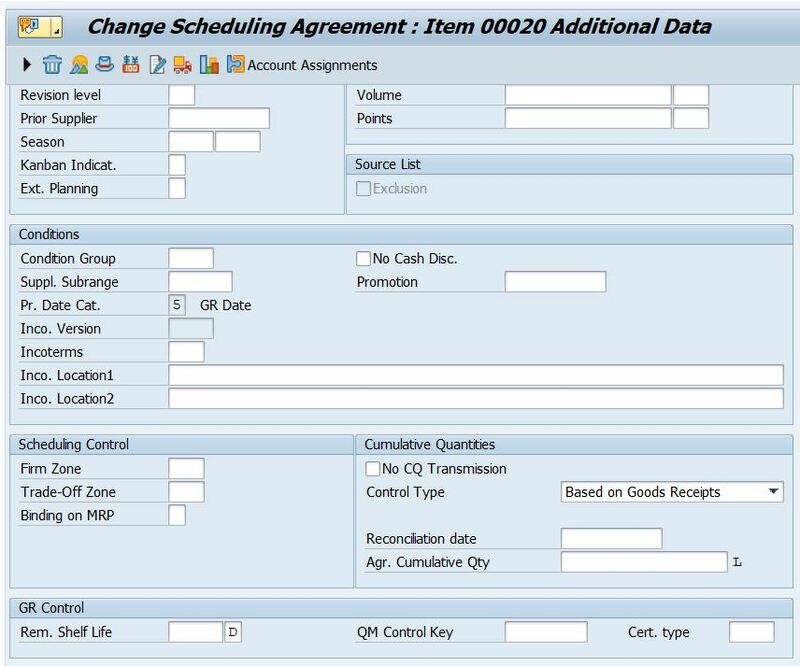 In Purchasing, you normally use User Exit MM06E005 to update customer fields but in this post, i will show you how to update standard fields of Purchase Order or in Scheduling Agreement. We use small trick to update variables out side the EXIT, in the main program. 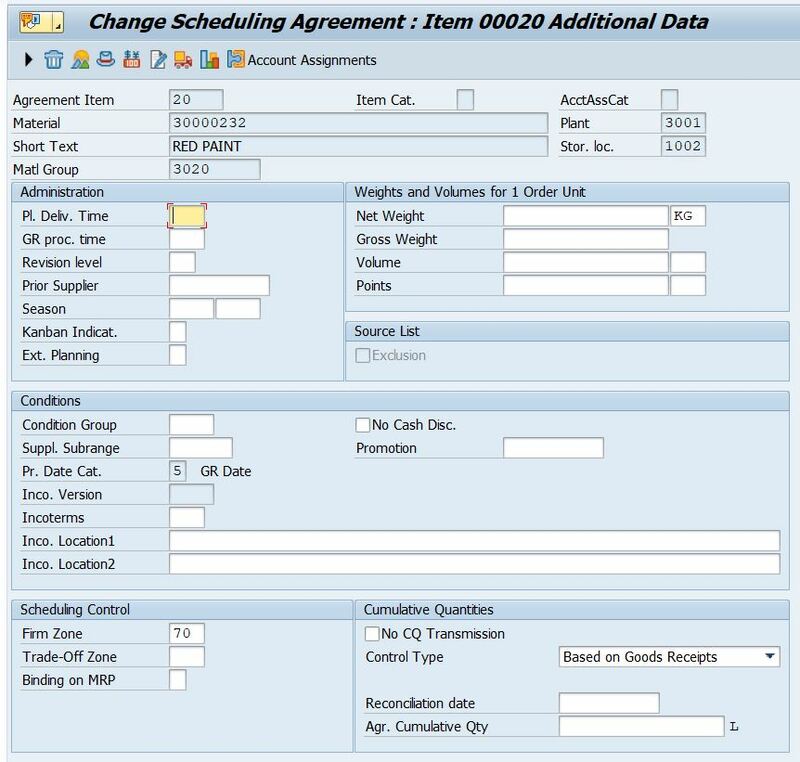 Here i will give you a small example, which will update the Firm Zone field in Scheduling Agreement. for line item that marked as “Firm”. 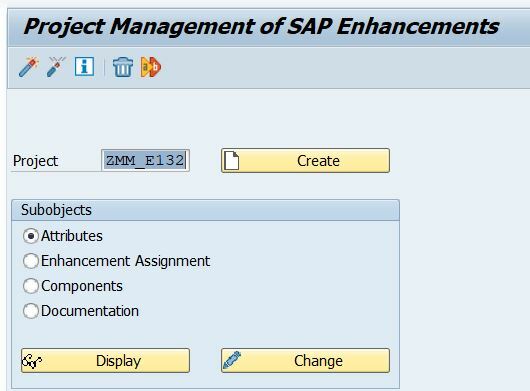 The firm zone should be relevant to JIT date range, which is determined by creation profile. firm zone and creation profile. Therefore we need to use User Exit MM06E005 to update. 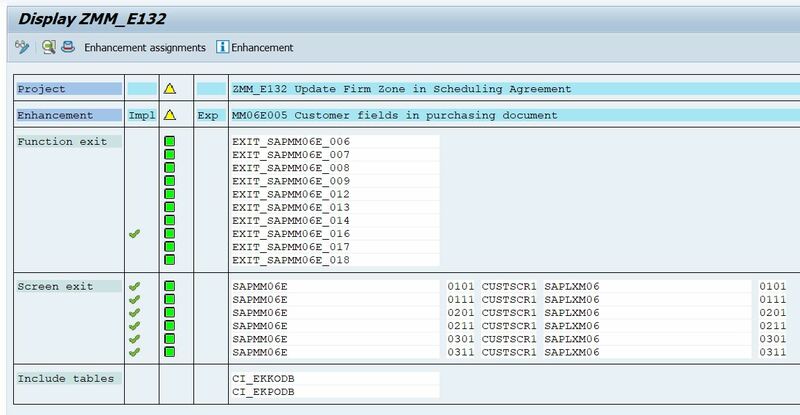 Here i choose EXIT EXIT_SAPMM06E_016 (Export Data to Customer Subscreen for Purchasing Document Item (PBO)) to use. Use Tcode CMOD to create a project. We use the below trick to edit value in main program. LW_FABHO_DIV = LW_FABHO / 6. Hope you see this post is helpful. If you have any question, please leave your comment. Thank you. Is dangerous and should never be done. Thank you Rossi. It should be posted with a warning. It should not be posted at all. But you cannot change the global variables here. You can check it. was used in the case the structure is dynamic structure. No other statement in your code will affect the Ekpo structure. Also, what do you mean by ‘dynamic’ structure ? It’s a structure….. it doesn’t morph into something else during the processing of your routine. As I stated before, this is bad programming practice and should not be promoted.